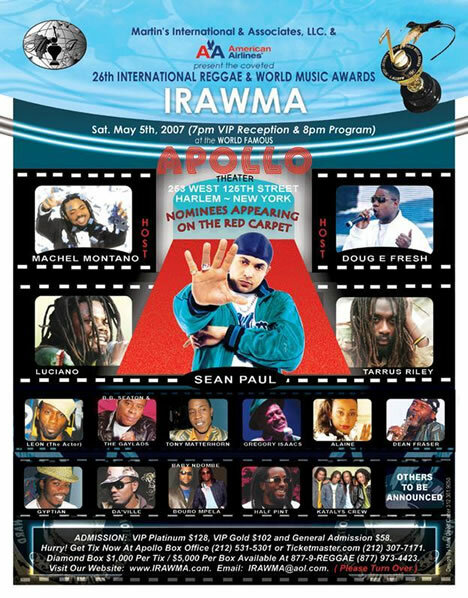 The 26th International Reggae & World Music Awards will be at the Apollo Theater on May 5, 2007! Please send on to your friends to place there votes!! !